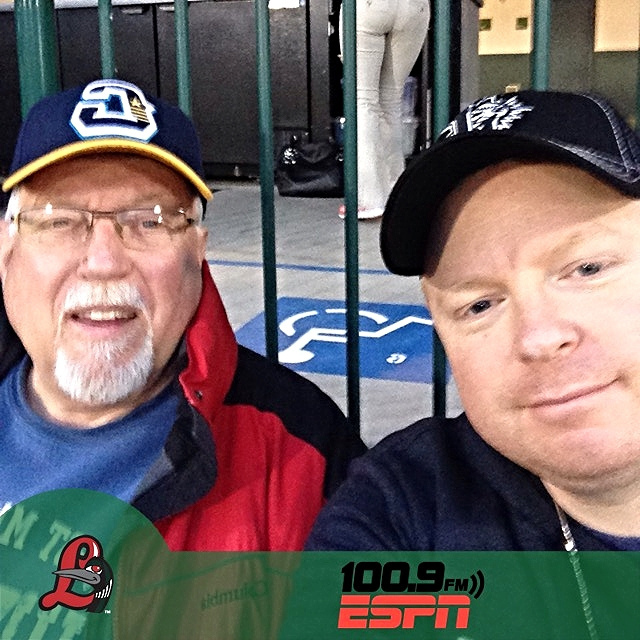 Dow Diamond-Midland, MI: Flying home from Florida, I decided to take an extra day and spend it with my dad. We usually go to a game for his birthday the first of April, but my training pushed that back a couple of weeks. 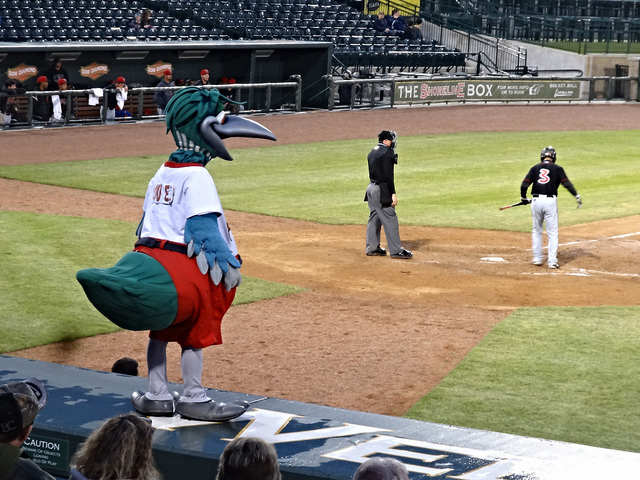 I flew in just south of Midland, so we had a nice lunch and took in a Loons game, which is always a good time. 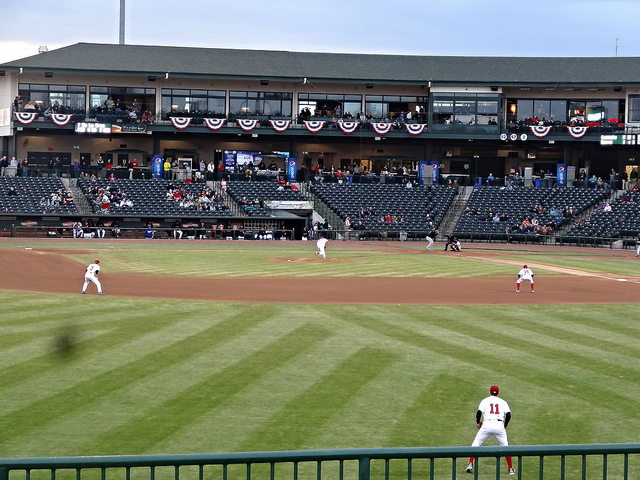 As you can see by some of the pics, also, I finally discovered the MiLB In The Park app, and took advantage of it with the photos I took with my phone. I wish I would have used it in Jacksonville, but will definitely use it for any of our upcoming games. 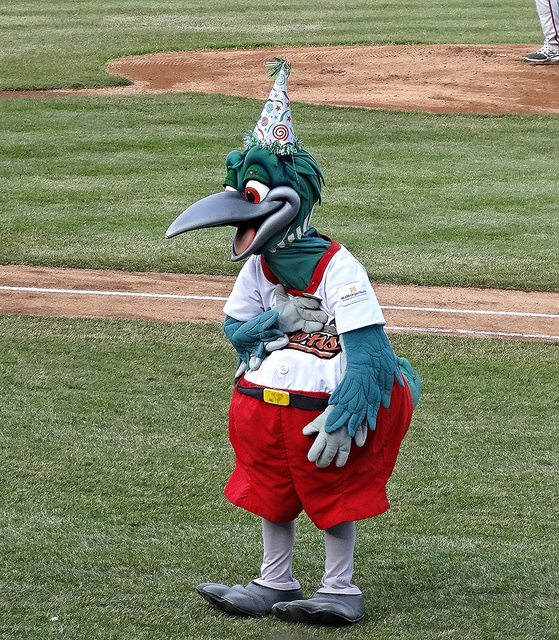 This game also featured Lou E. Loons birthday party, so he had some friends celebrate with him. 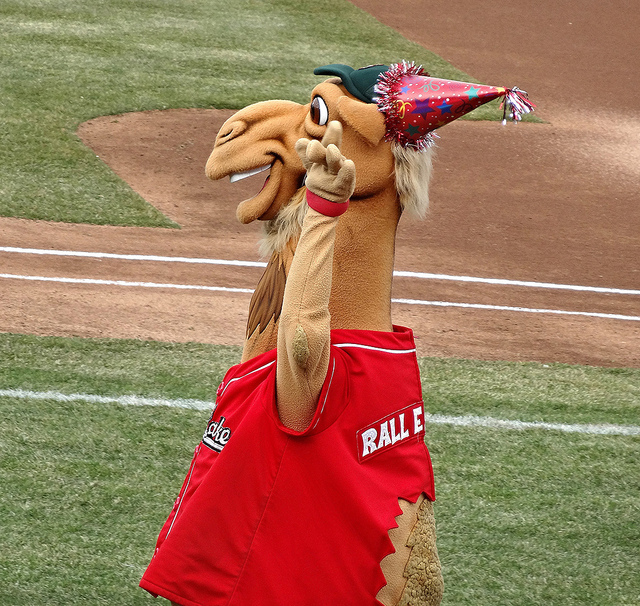 Ral E. Camel led the crowd in a rendition of ‘Happy Birthday’ for his buddy, too. I did get spoiled a little bit with the warmer weather down south, and it seemed that some of the rain followed by back up north here. It was a little cooler here in Michigan that it was in Florida and Georgia, but in reality not all that bad for the time of year. 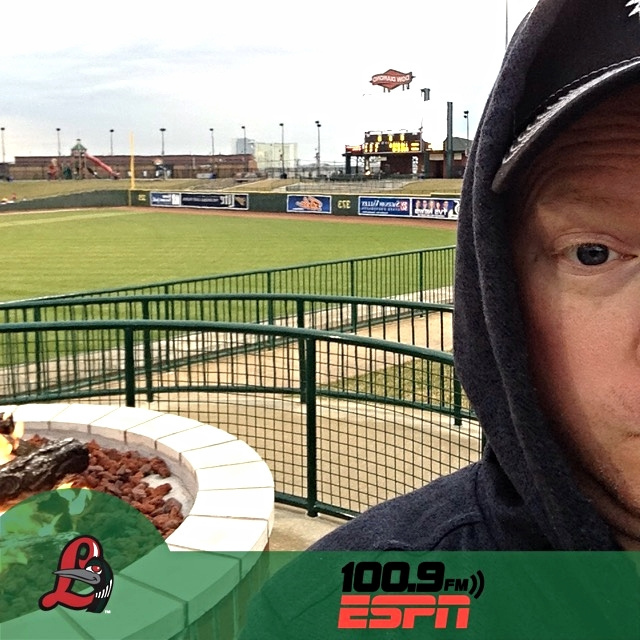 The rain didn’t last long and didn’t delay the game, either, so it’s all good on that front. 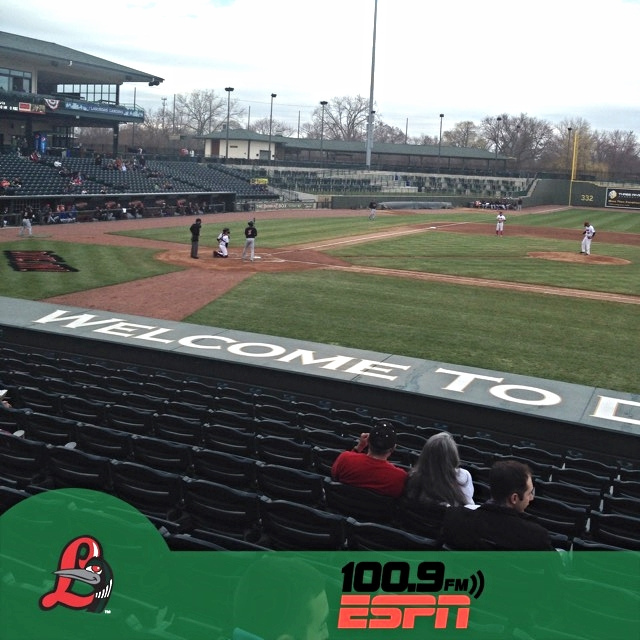 As far as the game goes, the Lugnuts jumped to a 2-0 lead after scoring a run in each of the first two innings. 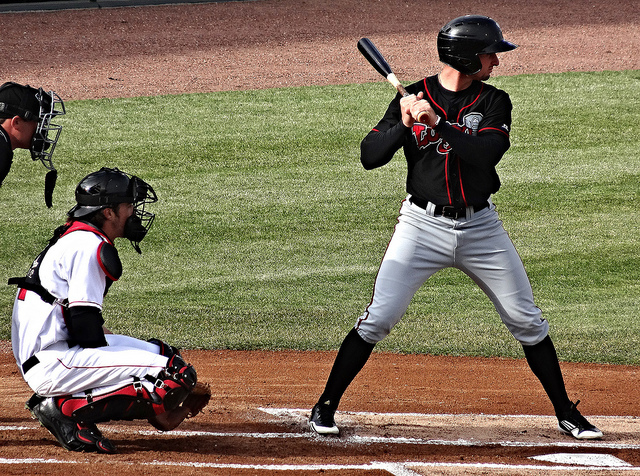 The Loons came back to score single runs in the fifth and seventh innings to tie things up, but then both offenses would come to a complete stand-still. After nine, the score was still 2-2, so into extras we went. 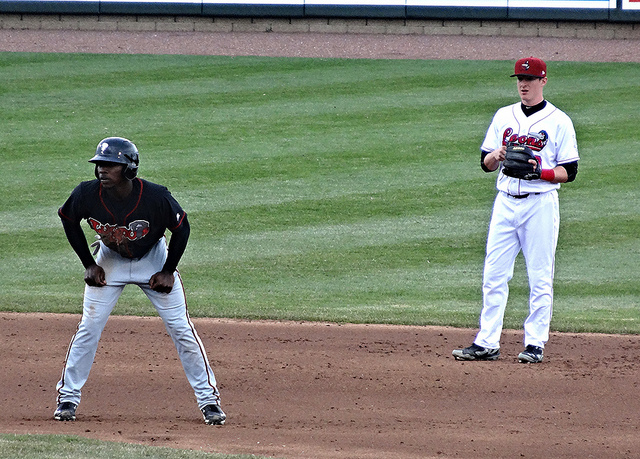 With a little extra time, I headed to the outfield to grab a few photos from that vantage point. 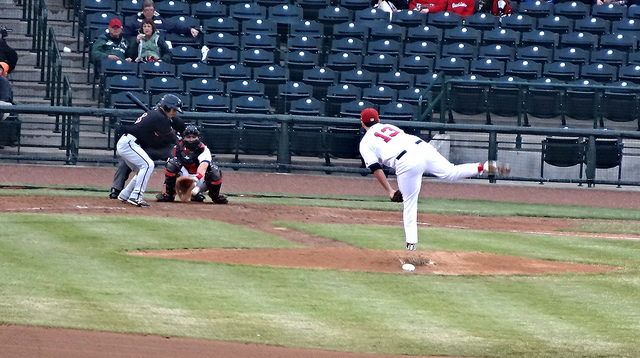 The game went to a whopping 16 innings, with the visitors finally plating a pair. 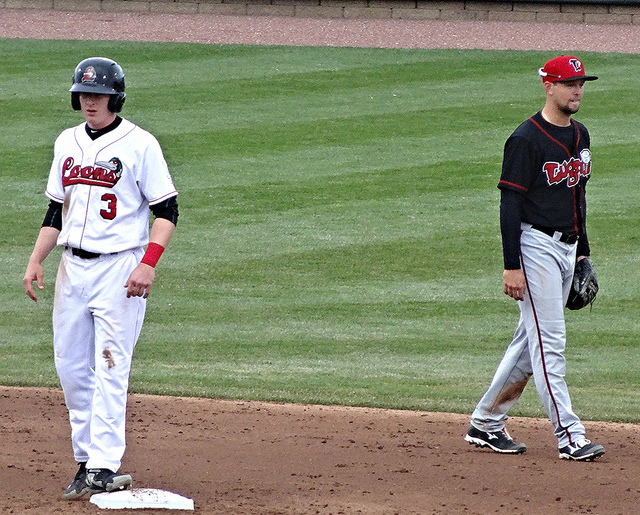 For the Lugnuts, they were led by Rowdy Tellez, who went two for seven with three RBI’s in the game, and Dickie Joe Thon who went three for six at the plate. 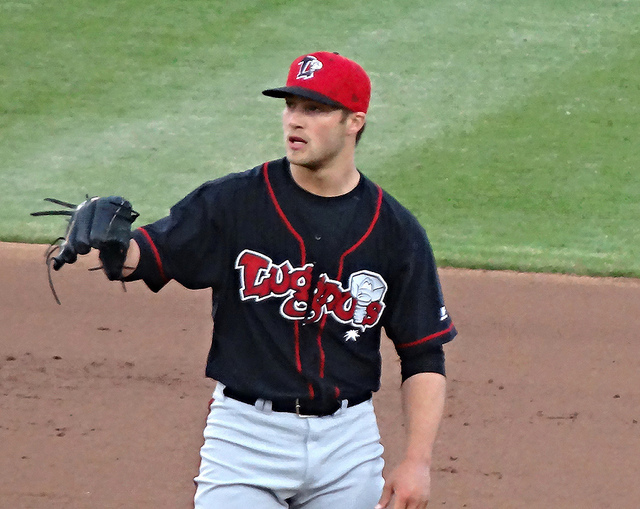 Andrew Case pitched the last four inning for Lansing, picking up the win while striking out two. 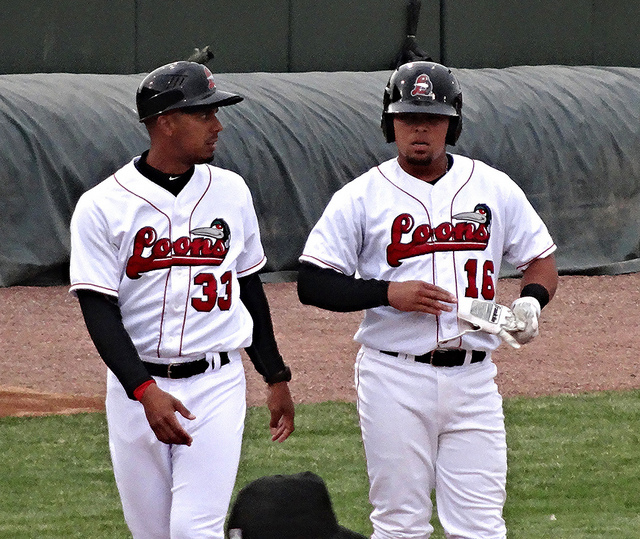 For the home-town Loons, Josmar Cordero went three for seven, while Alex Verdugo and Mike Ahmed had two hits each. 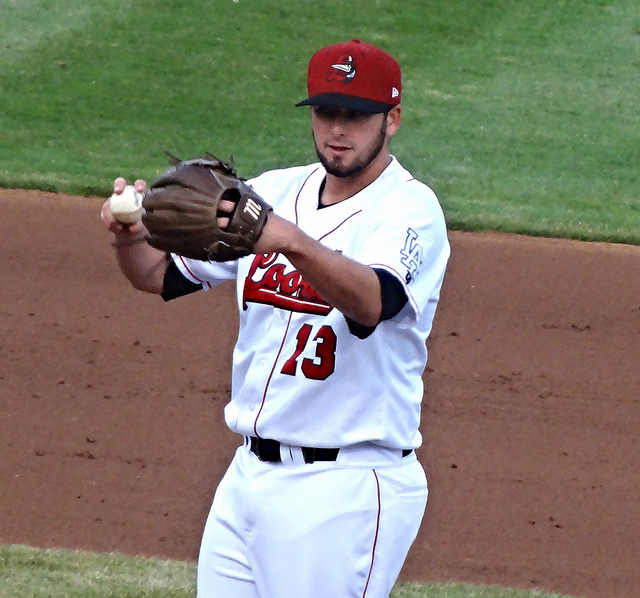 Kevin Guzman got the start on the hill for Great Lakes, going five strong innings while only giving up one earned run. 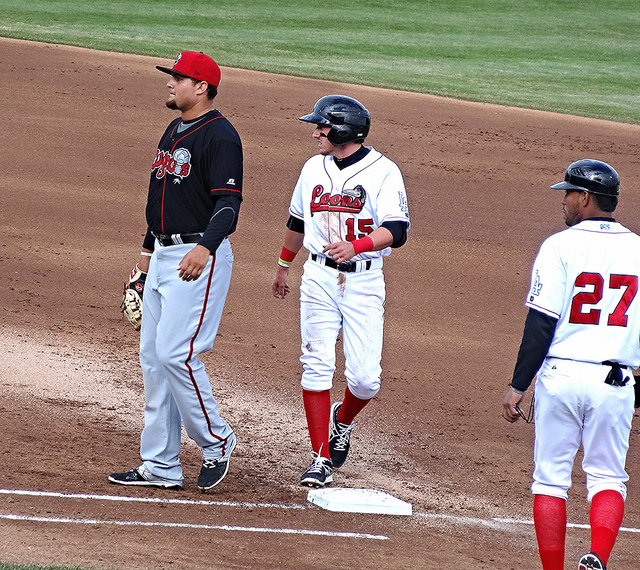 Cordero, despite his three hits, would come in a take the loss, giving up both runs in the 16th. 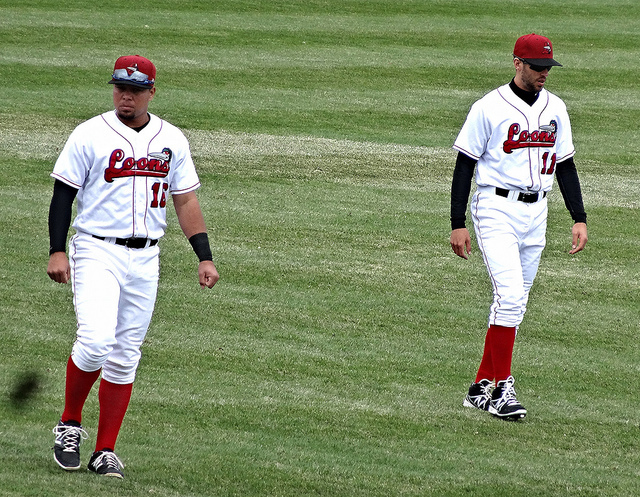 Also making an appearance for the Loons, was pitcher David Reid-Foley. 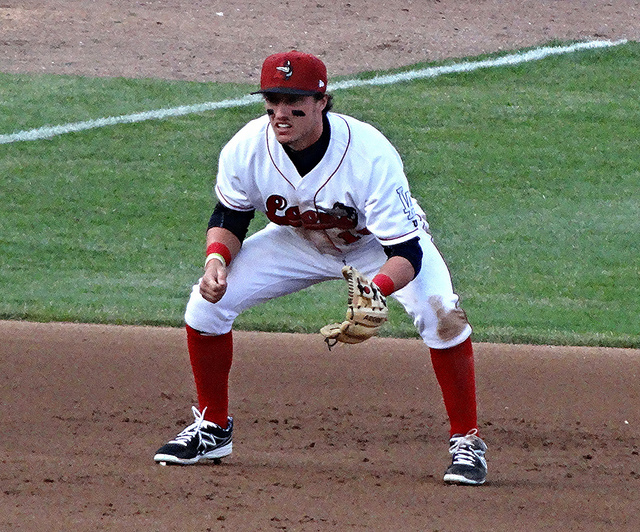 Reid-Foley was born in Sault Ste. Marie (where I currently live), then moved down to Brunswick, Georgia (where I was training just the day before), and went to school and was drafted while in Jacksonville, Florida (where I caught a couple of Suns games). Baseball does unite the world, does it not? 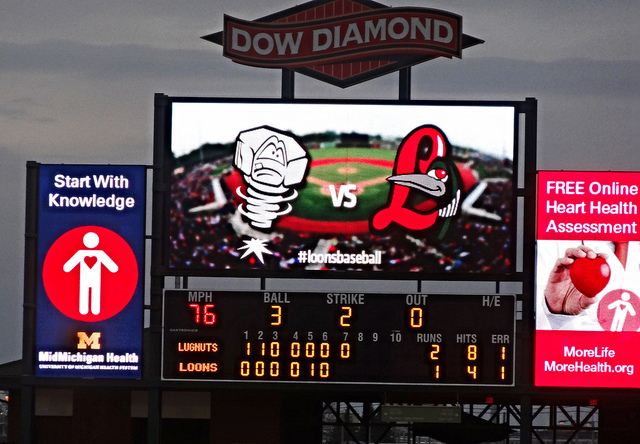 Final: Loons 2, Lugnuts 4. I wish I could say that we stayed for the whole 16 inning marathon, but honestly can’t. 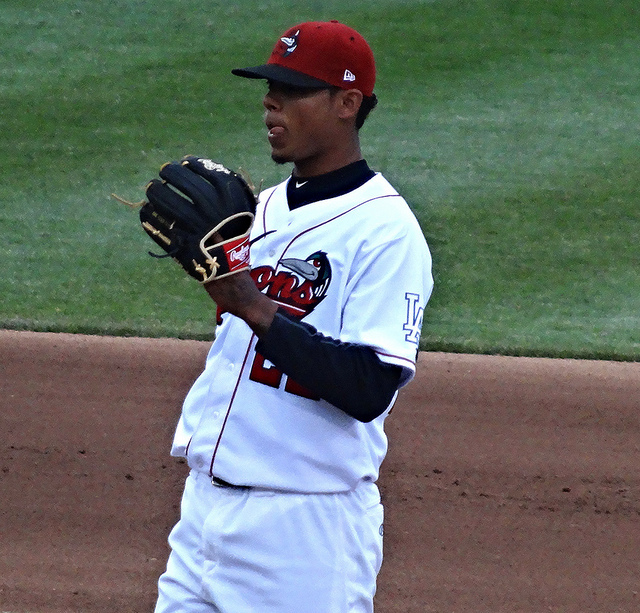 After being up since four in the morning, travelling back to Michigan, and still being and hour and a half until I could lay my head down, we couldn’t do more than 12 innings. 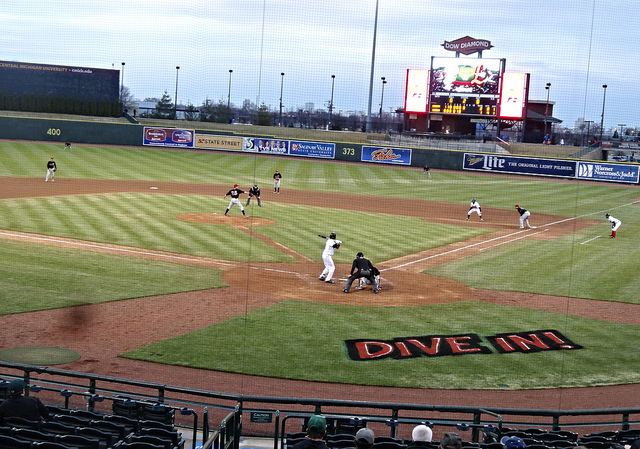 A long day, but a fun time as always at Dow Diamond. We don’t have any plans to come back as of yet this season, but once Little League starts and gets a schedule, I can start looking at the rest of the summer. 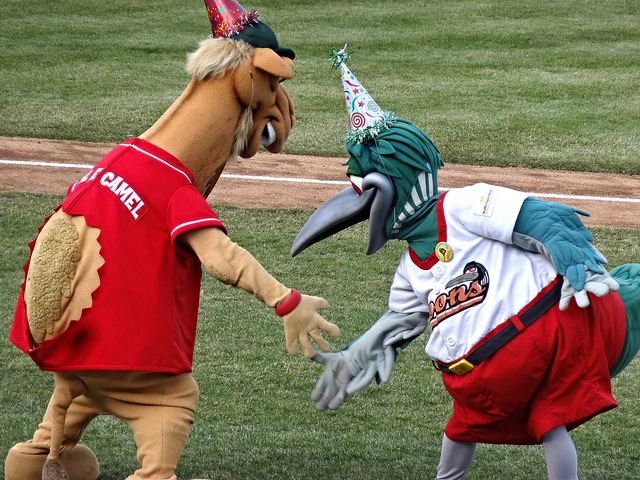 We do have plans to hit a pair of Whitecaps games next month, though.